Planning to travel to Hong Kong with the kids? 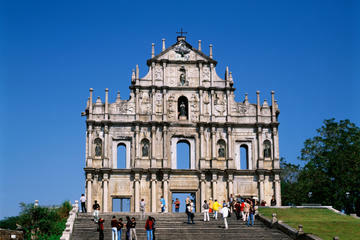 Get ready to discover a fascinating metropolis which once was not more than a congregation of small fishing villages. 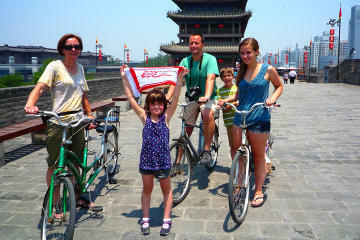 This is a lively and energetic city that is proud to show off its distinctive Chinese and colonial heritage. To say that Hong Kong is where East meets West is an understatement. Hong Kong is a fun place for kids off all ages, there is much to keep them busy, ferry rides, big buddhas, colorful markets, thrilling rides, pandas, temples, fun foods, and yes, even Mickey Mouse! 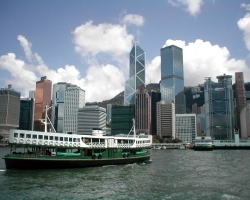 The Star Ferry is one of Hong Kong's beloved icons that's been around forever and one of the "must do's" when traveling to Hong Kong. The ride accross the harbour is not only fun, fast and cheap, but gives you awesome views of the city skyline. 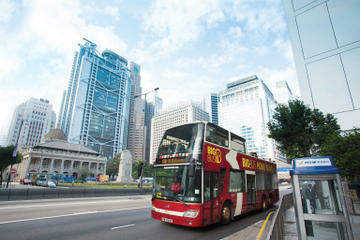 There are four different routes, the ride from Tsim Sha Tsui to Central is quite striking as you approach the towering skyscrapers, specially at night, when the city lights come to life. At less than US$0.40 per ride, this is one of Hong Kong's top bargains! 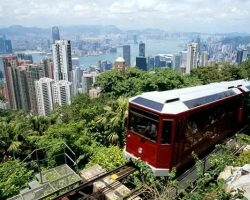 "The Peak" and the "Peak Tram" are also some of Hong Kong's classics. Hong Kong Island's highest point is at Victoria Peak which overlooks the harbor and is home to some of the top real estate in the planet. The fun way to get there is of course with the Peak Tram, which is pulled by a single steel cable up the steep slope and ends the ride at the Peak Tower. The Peak Tower, in contrast to the century-old Peak Tram, is a new seven-story structure, complete with viewing platforms, restaurants and shops. The open-air viewing terrace with the coin-operated binoculars is on the top level. There is also a Mademe Tussaud's Wax Museum on level 4 which the kids might find interesting. A nice leisurely walk around the peak can be done in an hour on Harlech and Luggard Roads which loop around it and give you amazing views of the harbour, the peninsula and as far as the outlying islands. 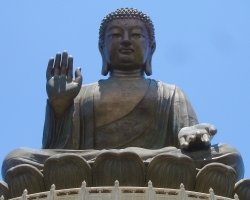 Tian Tan Buddha in Lantau Island is made of bronze and at 34 meters or 112 feet, one of the largest seated buddha statues in the world. Getting there is half the fun. From Lantau Island's Tung Chung MTR station, the Ngong Ping 360 Cable Car will whisk you in 25 minutes up to the plateau where Big Buddha sits. The cable car ride gives you great views of the islands, the airport and as far as the South China Sea. Once in Ngong Ping, you will get glimpses of buddhist monks going on their daily routines, the Po Lin Monastery is just off the cable car station. Then it's a hike to get to the foot of Tian Tan, all 260 steps lead up to the podium and the sweeping views from here are worth the climb. If everyone is up to it, the 4 mile path down to Tung Chung is a nice walk and you pass some small monasteries on the way. Hong Kong Markets are fun places for kids. There are wet markets, night markets, street markets, flower markets, jade markets, bird markets, fish markets, you name it! and they are all packed, loud, lively, and chaotic. 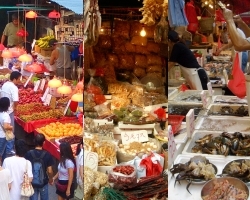 Hong Kong markets are plentiful and you are bound to bump into one sooner or later. The markets are fun to watch even if you are not shopping, they are worth a peek just for the atmosphere. The wet markets could get a little gory though. Temple Street market is a lively night market, there's all sorts of cheap trinkets, fortune tellers, food stalls, and as in all markets in Hong Kong, don't forget to bargain! The many temples and shrines spread throughout the territory give a peek into the many traditions and the rich cultural heritage of Hong Kong. There are Buddhist and Taoist temples, as well as temples dedicated to the many gods and deities. Temples are a focal point of Chinese Culture, where people come to pay respects to their ancestors and can be crowded during major Chinese Festivals. 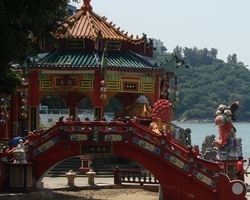 Because of Hong Kong's ties to the ocean, one of the most popular deities is Tin Hao, the Goddess of the Sea and protector of fishermen and seafarers. You will find Tin Hao temples all around. If my dad had his way, we would spend the entire time eating in Hong Kong! Seems like everything revolves around food. A common greeting among the Chinese is not "How are you?" but "Have you eaten yet?" 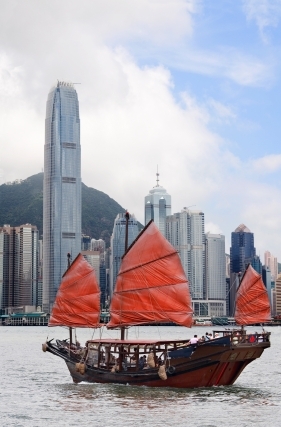 And with reason, your travel to Hong Kong won't be complete until you sample what this region is known for. 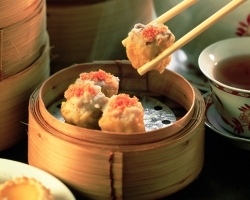 Children will enjoy the dim sum brunches where they can pick the dishes from the trolleys as the chaotic servers scurry among the tables, or a foray into the Dai Pai Dongs where they will be amused just trying to guess what some of that "weird stuff" might be, or the seafood restaurants with the tanks full of fresh catch, the floating restaurants, or just simply the local noodle and dumpling joint. Hong Kong Disneyland is a smaller version of its American counterparts, but as all things Disney, still magical, enchanting, and... pricey. If you are a Disney fanatic, a day at Hong Kong Disneyland is a must. And if you are familiar with the other parks, you will find a similar layout in the structure and also in the way things operate. Fantasyland, Adventureland and Tomorrowland all branch out from Main Street as do the newer theme areas of Grizzly Gulch, Toy Story Land and Mystic Manor, unique to Hong Kong Disney. For popular rides there is the fast-pass, and not to be forgotten, the afternoon parade and the fireworks at closing are all part of the Hong Kong Disney experience. You will notice subtle Asian overtones here and there. In Small World, for example, Cantonese, Tagalog, Putonghua and Korean have been added to the theme song, and the menu at restaurants is distinctively more Asian than in the Western counterparts. During the Chinese New Year holidays, Mickey, Minnie and the whole cast of characters sport their own full bright red Chinese Traditional costumes and the entire park goes all out with the dragon dances, lantern decorations, sparkling lights and of course the fireworks. 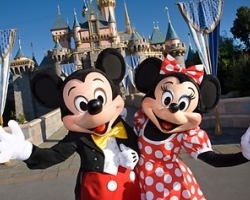 A fun time to visit Disneyland Hong Kong! 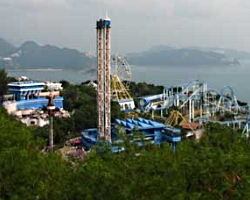 Ocean Park, Hong Kong's very first amusement park, is a cross between Sea World, the San Diego Zoo and Six Flags all rolled into one. It's a huge park in a very unique location in Aberdeen (see below) among mountain peaks overlooking the sea and neighboring islands. the cable car to the "Summit", superb views of the bay, outlying islands and the South China Sea, don't forget your camera! the Polar Adventure, visit the North and South Poles, great pinguin exhibits! Old Hong Kong, ride the rickshaws for a great trip back in time. Just a short bus ride from the hustle and bustle of the city, at the Aberdeen Fishing Village you can still see what remains of what used to be a thriving fishing harbor. 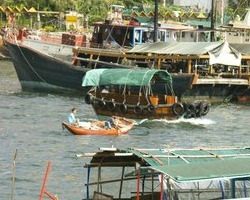 A ride aboard a Sampan is a great way to get a glimpse of this very picturesque port, there are still families clinging to the old traditions and living in their floating quarters. A visit to one of the Outlying Islands is a great way to spend the day. The islands are easily reached by ferries which run at frequent intervals and are inexpensive. 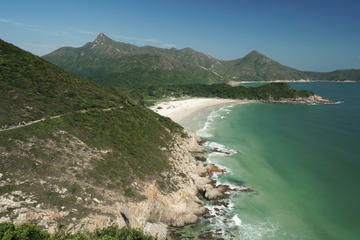 A nice respite from the city, the Outlying islands are popular with locals, so try to avoid weekends, specially Sundays. Lantau Island is the largest one, almost twice the size of Hong Kong Island. Besides the ferries, you can also reach Lantau by MTR. Lantau is home to Tian Tan, the Giant Buddha, Hong Kong Disneyland, lovely beaches and hiking trails, and one of the few remaining traditional fishing villages, Tai O, with its rows of stilt houses on the waterfront, sampans on the harbour, traditional markets, and temples dedicated to the gods. 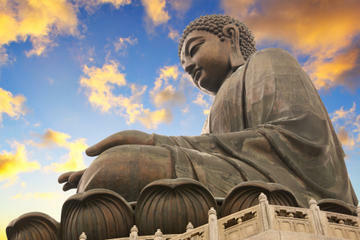 If visiting the Giant Buddha, Tai O is an hour's away by bus from Tung Chung. 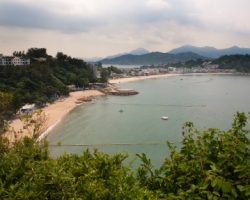 Cheung Chau (pictured above) is one of our favorites for a day out. 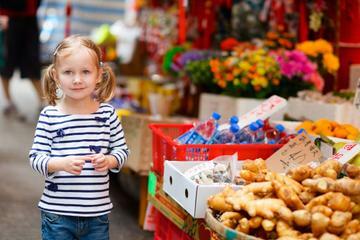 Kids will enjoy wandering along the harbour, hiring a sampan for a half hour, or just checking out the village with its Chinese traditional houses, markets, and small temples. If you happen to be in Hong Kong around May, this little island is a must when the colorful Cheung Chau Bun Festival is in full swing. 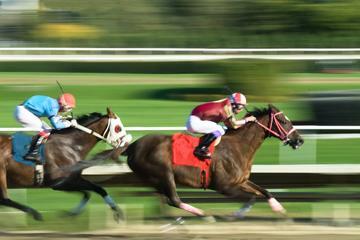 Click here for more on Chinese Festivals. 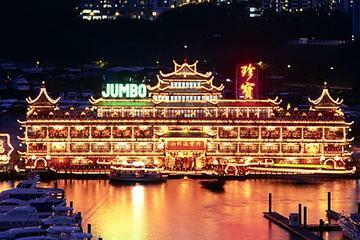 This is another of Hong Kong's bargain attractions. Every night, at 8:00p.m. 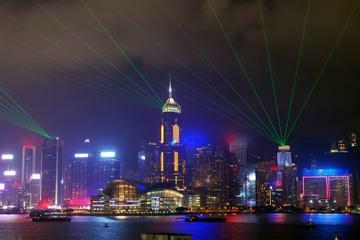 the Hong Kong skyline comes to life in a spectacular array of lights, lasers and coreographed music, all celebrating the spirit of Hong Kong. A Symphony of Lights is a free program and runs for 15-20 minutes. 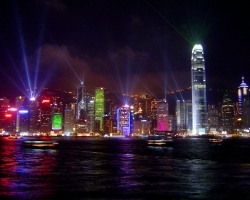 The show has been running for years, and it initially began with the lights splashing out of 20 buildings in the Hong Kong Island side of Victoria Harbor. It has recently been expanded to an additional 20 buildings on both sides of the harbour for a complete 360 degree experience. So now, wherever you happen to be, just peek out at around 8:00 p.m. and enjoy the show. A Harbour Cruise will offer the best views as you will be right in the middle of it all. If on land, our favorite spot to enjoy the lights is anywhere along the Tsim Sha Tsui side from the Star Ferry Terminal all the way to the end of the Promenade by the New World Centre. A good option if you don't have much time for planning or would like to cover a lot of ground in a hurry is to have some arrangements made ahead of time so you can devote all the time to enjoying all Hong Kong has to offer. 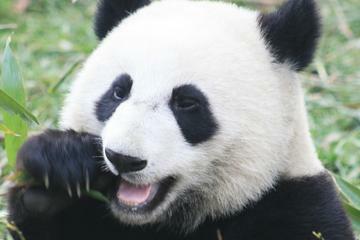 Check out the entire selection of Hong Kong One Day Tours and Activities, sit back and enjoy!